Toews: "It starts with defense." 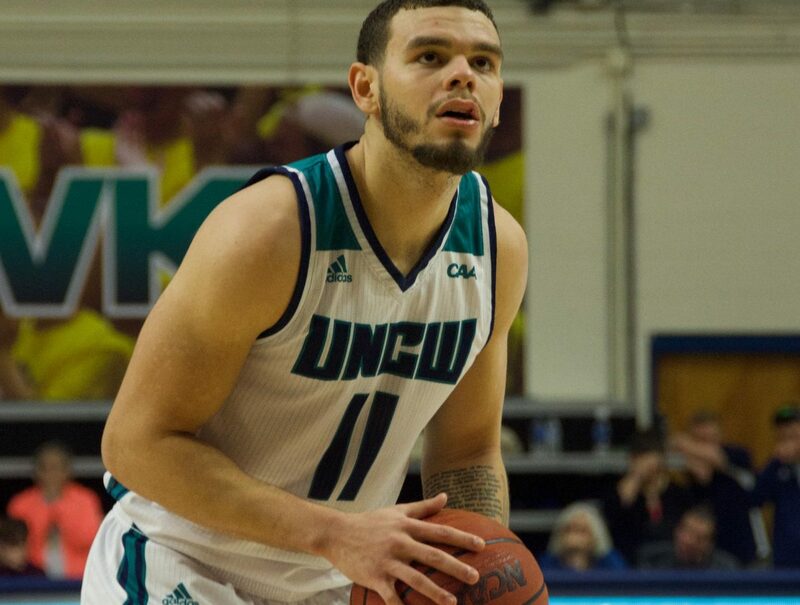 Jaylen Fornes (11) preps for a potential game-winning free throw with 12 seconds left during UNCW's matchup with Towson on Jan. 31, 2019. UNC Wilmington opened Homecoming weekend with a 77-76 loss to Towson on Thursday night inside Trask Coliseum. The Seahawks now can do no better than split its Colonial Athletic Association four-game home stand when it welcomes James Madison to Trask on Saturday for the Homecoming Game. Towson (8-15, 4-6 CAA)entered the game ranked ninth in the CAA shooting .326 percent from three-point range. The Tigers also ranked last in the league in made (44) and attempted (144) shots beyond the arc. Their brand of basketball was more dependent on how physical it can be with its opponents, something the Seahawks (8-15, 4-6) did not see last week against two perimeter teams in William & Mary and Elon. The Tigers shot 5-for-7 from three in the first half and did not miss any of its first four attempts on its way to building a 14-point lead. Once again, the Seahawks found themselves in a first-half deficit it needed to come back from. It took much of the game for UNCW to earn its first lead, but it happened with 3:49 left in the game. There would be four lead changes after that until Toews’ couldn’t get a good look on a last-ditch effort as time expired. When junior guard Jaylen Fornes exited late in the game due to a bloody lip, he was forced to wear a generic home jersey with historic significance–Brett Blizzard’s retired number 11. Like Blizzard did throughout his career, Fornes stepped up in the waning moments of the game. He hit three of his 19 points at the foul line after the jersey switch to give the Seahawks a lead with 12 seconds left. Even though he fouled out on the next play as Towson guard Brian Fobbs secured the Tiger victory at the line, Fornes’ performance was welcomed by McGrath. Fornes played 25 minutes against Towson while he played a total of 27 minutes over the five previous games after McGrath pulled Fornes from the starting five for the second time this season. The last time he scored in double digits was the victory at Towson on Jan. 5.